Those Vamps did it again! 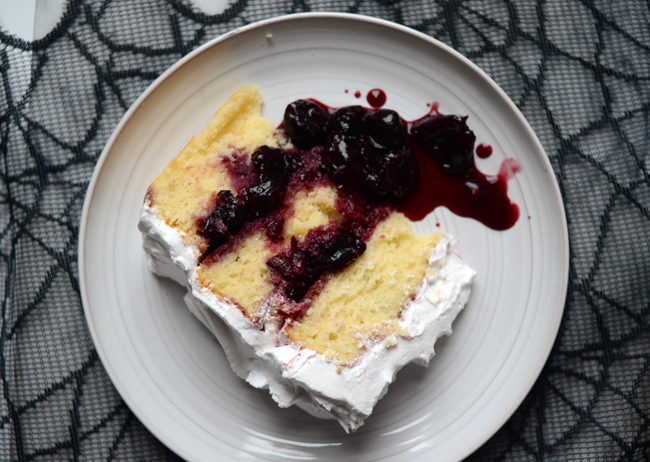 They got to my perfectly white and fluffy buttermilk vanilla cake–a helpless baked good. I can't say I'm surprised...it is prime Vampire season, after all. 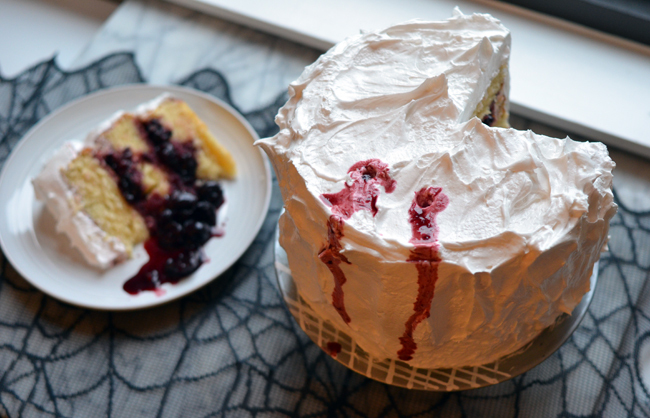 Seriously though, of all the Halloween themed treats I've made, this cake is my favorite. It's subtly gory and beautiful all at once. 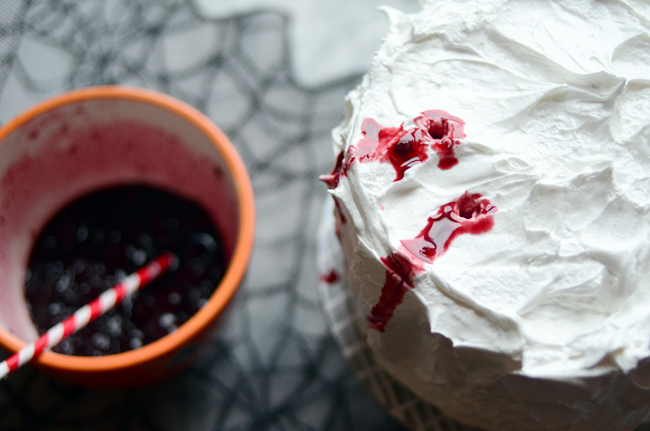 In choosing a "blood" filling for this cake, cherries just seemed perfect. Pomegranate, strawberry and even cranberry crossed my mind, but using frozen sweet cherries was the right choice for this cake. 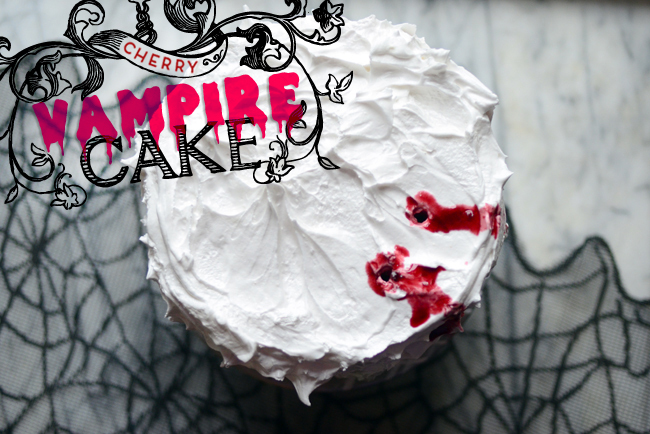 With a couple pokes from a straw and a drizzle of cherry juice, the vampire bite marks come to life. 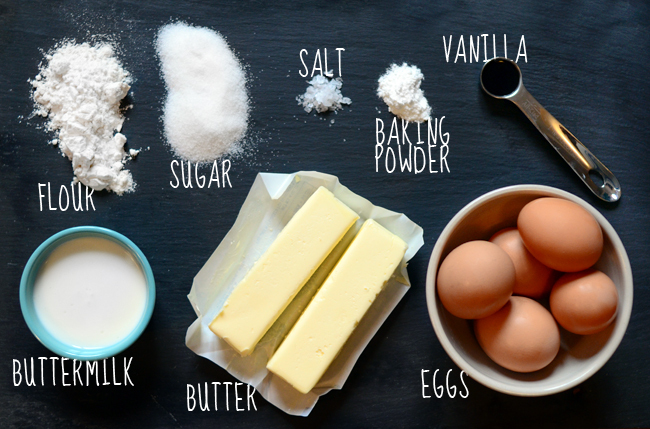 Keep this recipe around after Halloween if you ever need a perfect buttermilk vanilla cake or a light and fluffy marshmallow frosting. But beware, those Vampires might come for your cake next. 1. Preheat the oven to 350 degrees. Grease two 9-inch or three 8-inch cake pans and set aside. (You can also use cupcake tins.) In a medium sized bowl, sift together the flour, baking powder and salt and set aside. 2. 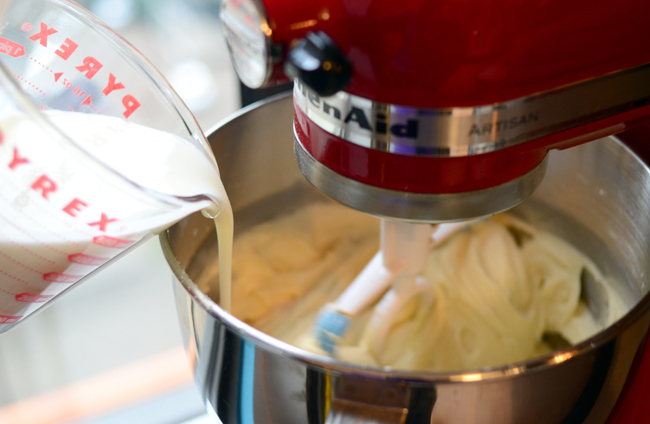 Beat the butter and sugar together in the bowl of an electric mixer fitted with the paddle attachment until light and fluffy. Add the eggs, one at a time, until incorporated. Scrape down the sides of the bowl and add the vanilla. With the mixer on low, add half of the flour mix and beat until fully incorporated. Slowly pour in the buttermilk and mix until combined. Add the remaining flour and mix on medium speed for 15 seconds, or until all the flour is mixed in. 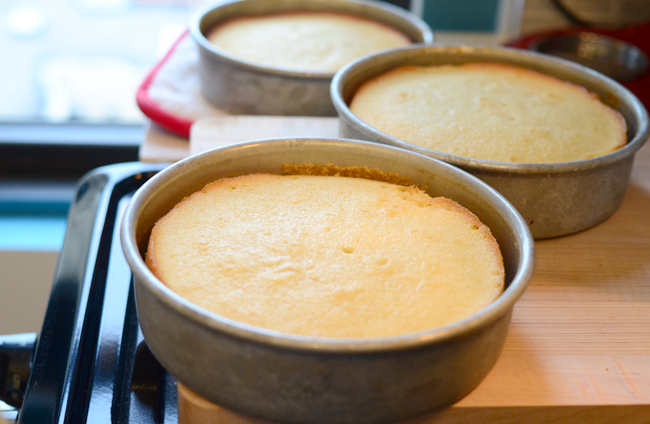 Divide evenly between cake pans and bake for 40 minutes or until a toothpick comes out clean. Cool completely. 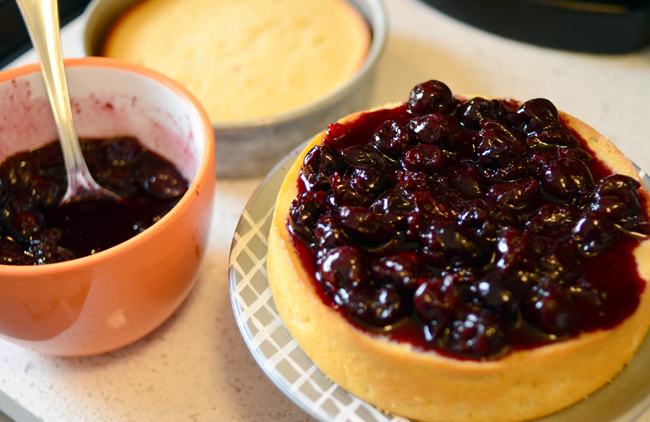 Once the cake has cooled, poke a few holes in the layers to make sure that cherry filling really seeps in. Combine all ingredients in a saucepan over high heat and bring to a boil. Reduce heat to medium-low and simmer until sauce reduces and thickens, about 25 minutes. 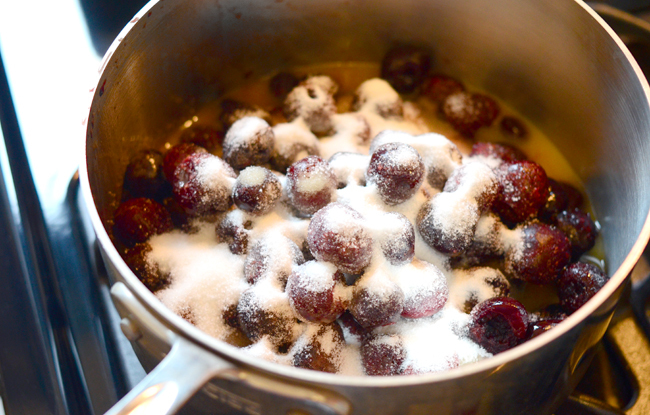 Break up softened cherries with the back of a spoon and set aside to cool completely. 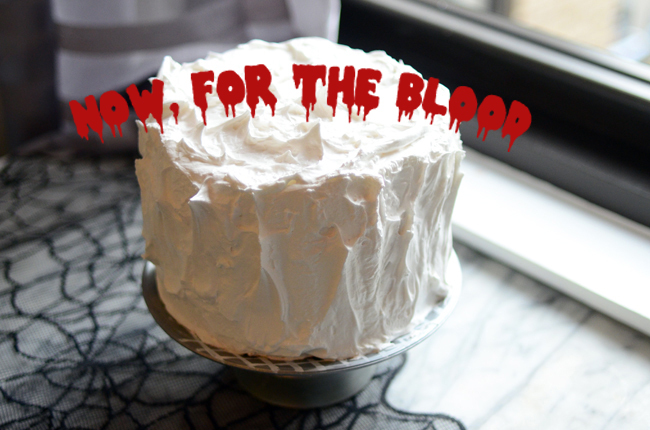 Now, I think that looks perfectly gory and would serve as it, but this cake really needs the light-as-air marshmallow frosting! Remember to save some of the cherry juice for the vampire bite marks. 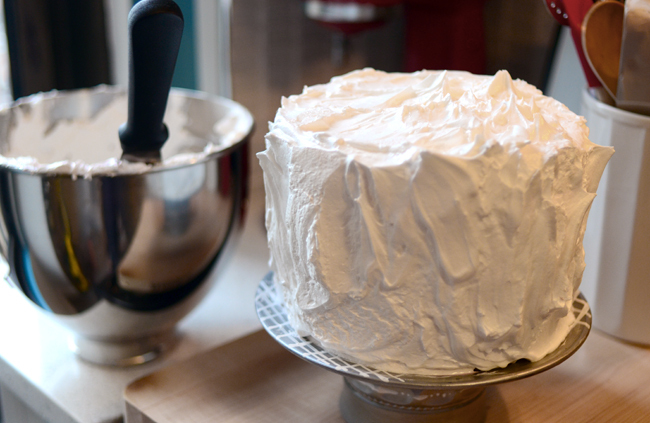 note: If you prefer not to use egg whites, meringue powder is a great substitute for the eggs. 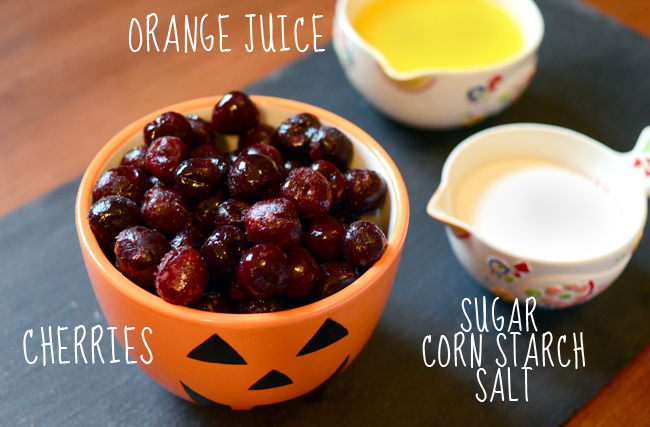 Combine sugar, corn syrup and water in a saucepan and bring to a boil. 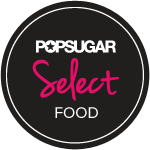 Boil for 1-2 minutes, or until the sugar dissolves, then turn off the heat. 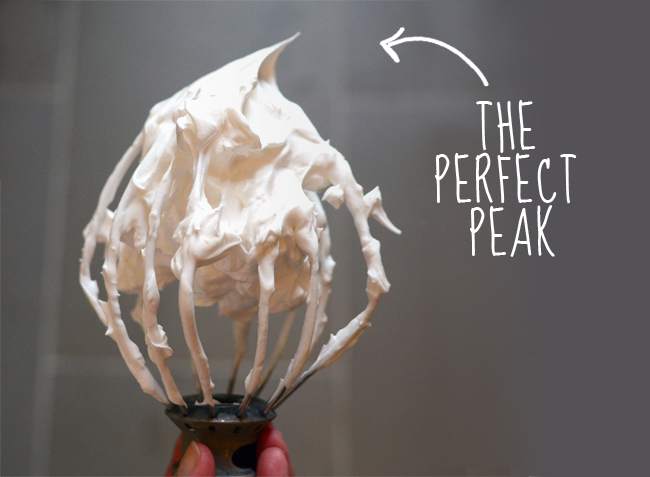 Meanwhile, beat the egg whites in a standing mixer fitted with the whisk attachment until peaks form. Turn mixer on low and pour sugar mixture very slowly into the bowl. Add vanilla, then beat on high for another 5 minutes until peaks are very stiff and glossy. 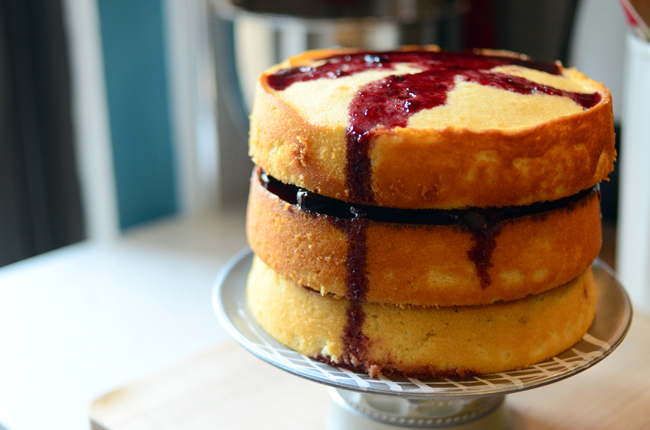 Use an offset spatula to spread a thin "crumb coat" layer on the cake. 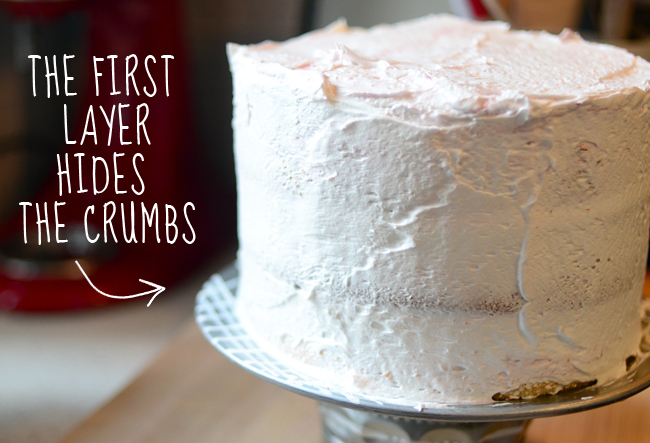 This will seal in all the crumbs and cherry filling. Then liberally spread the remaining frosting on the cake. 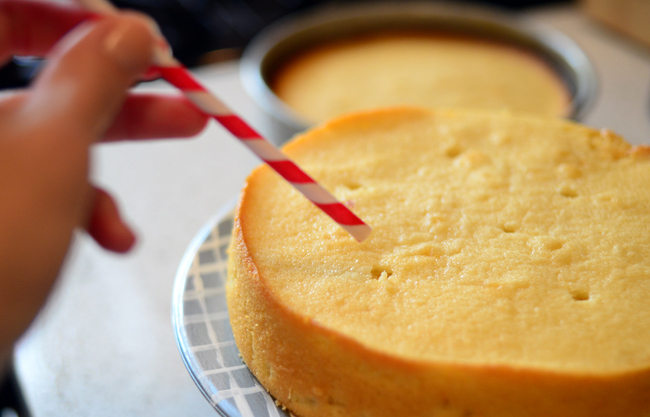 Poke 2 holes in the cake with a straw, then drizzle the cherry juice down the side of the cake.